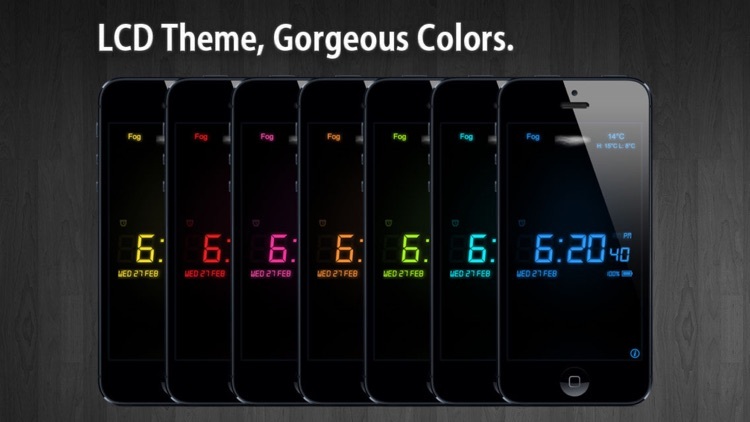 - Gorgeous color LCD theme with 7 different colors. 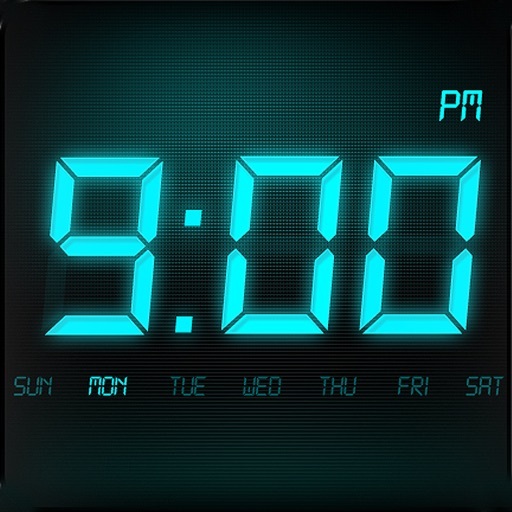 - Gorgeous Flip Clock theme. - Landscape and portrait orientations. - Slide/Flick up and down to dim the screen. - 12/24 hour time formats. 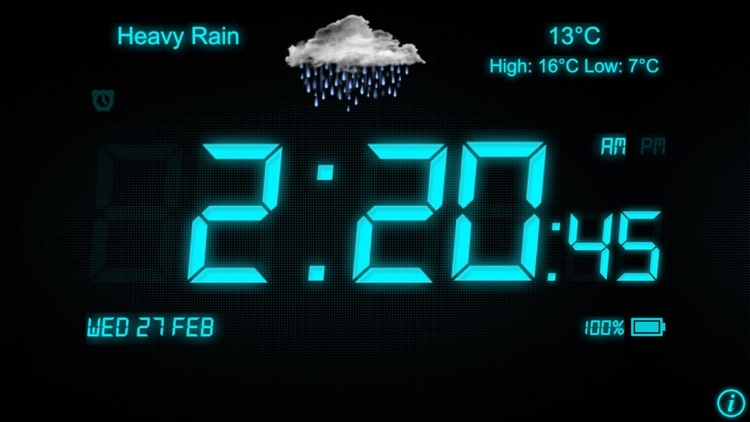 - Show/Hide city name in LCD theme. - Show/Hide seconds in LCD theme. - Show/Hide next alarm in LCD theme. 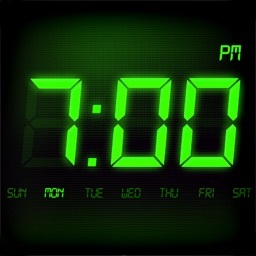 - Customizable auto-lock time to save your battery. 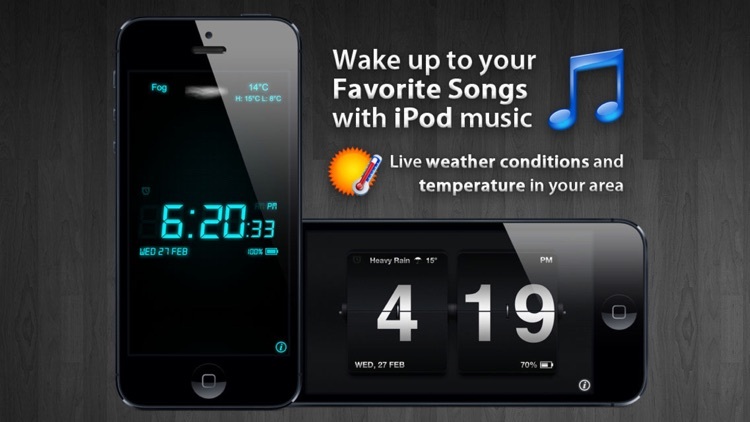 - Wake up to your favorite iPod music or playlist. - 17 built-in alarm sounds. - Big Snooze/Stop Alarm buttons. 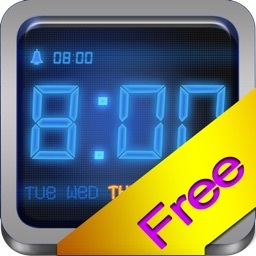 - Unlimited alarms: each with its own settings. 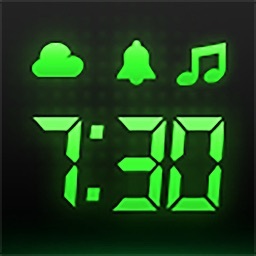 - Fade-in options for alarm sound/music. - Alarms work even when the app is closed. - Live weather conditions and temperature in your area. 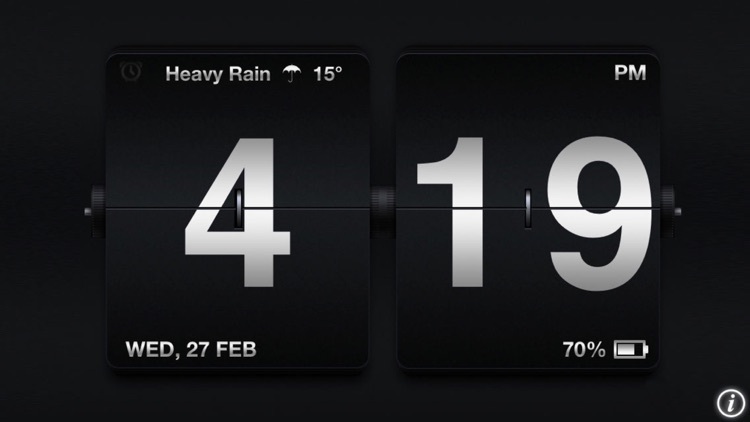 - Support both Fahrenheit and Celsius display. - Just shake your iPhone to toggle the flashlight. If you have any questions or comments please send us an email at [email protected] Note that if you leave a support question in the comments we won't be able to write you back, so just shoot us an email instead.